Internationally recognized and respected for its work across ICT standards, OASIS is growing support for Open Source projects beyond current TCs. Check out our documentation repo to learn more, or shoot us an email. I'm currently working with the JSF, NodeJS Foundation, and Linux Foundation to support JSF projects as we work toward our merger with NodeJS. Follow our progress on the bootstrap repo, or join us in the JSF Slack! Jory is a consultant and educator working to improve collaboration in open source and open standards communities as a member of several industry boards and standards setting organizations. 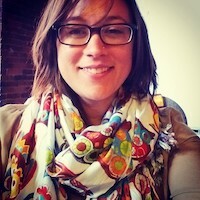 She is sponsored by Bocoup to advocate for web developers on Ecma International’s Executive Committee, the JS Foundation Technical Architecture Committee, the W3C Advisory Council, the MDN Product Advisory Board, and works on projects with OASIS Open Projects, Ecma TC39, Ecma TC53, and Web Platform Tests. How can I help with your open source project or standards effort?